The Cambridge Edition of Virginia Woolf: here it comes!!! Woolf scholars of the world, rejoice! Maybe you caught the brief celebratory mentions inthe Independent recently? In any case, the first two volumes of the Cambridge edition of the novels of Virginia Woolf are out. You can buy The Waves or Between the Acts for a mere $130 a volume and have the benefit of full textual and contextual annotations. Or, if you’re me, you can burrow even more deeply in the library so that the Cambridge edition of Mrs. Dalloway doesn’t trail too too far behind. I have written many times before of my debt to the New York Public Library. I have my seat at the Wertheim Study until the end of May and, believe me, I am making every use of it. Librarian Jay Barksdale wrote earlier this week to say that budget woes have sharply curtailed the library’s book-buying budget. If you’re moved to help the library, this is the week to do it: every dollar you give will be matched by $2 from an NYPL Trustee (up to $100,000). This challenge has the potential to purchase 7,500 new books for the library. Click here to give. These books are help scholars like me consult expensive monographs but they also help new immigrants learning to read, mothers reading to their children, students studying for the SAT, and readers across all five boroughs. 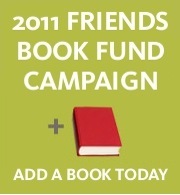 If you are moved by the power of reading, please do consider giving a few dollars. And if not to this challenge, you can always click here and, for $40/year, become a Friend. I just did. For all it’s done for me, it was the least I could do in return. I had never read Julia Stephen’s Notes from Sick Rooms (1883) until last week. It’s a short little book and a strange one. Written when Woolf was one, it’s Woolf’s mother’s long, impressionistic essay on nursing, or rather, on tending to the sick when a nurse or doctor is away or otherwise occupied. The voice is amazing: brisk, efficient, and full of care. It made Woolf’s mother—and her resemblance to the fictional Mrs. Ramsay—clearer to me than anything else I’ve read. She trips along, associatively, from one subject to the next, beginning in praise of nursing as a practice and ending in the humble pride a nurse can take in her role in nursing someone to a good death. Along the way, she explains how to make a bed when the patient is too ill to get up, describing that amazing process I have occasionally witness of rolling a patient gently onto his side, removing the dirty and adding the clean sheet, and then completing the operation by rolling him back. She loves nursing because “ordinary relations between the sick and the well are far easier and pleasanter than between the well and the well.” That impatience is wonderful, isn’t it? You can hear, in the book’s opening lines, this strong, practical preference for defined human relationships: none of this petty bickering, this nattering on and on about this and that. Give me a role and I will happily play it, nurse or patient, both are fine. Hardly sounds a bit like what Bloomsbury would become.